What is(are) your favourite item(s) from PAUL? Throughout my stay in London (8 days), I visited PAUL countless times, almost every single time I passed by it. There was a certain attraction that lured me in for some reasons. Perhaps it was the scent or aroma of freshly baked bread / pasty that diverted my intended path. One thing I notice though (I can be wrong of course), many items I saw, or most of them to be exact, were sweets. They do have bread of many sorts but sweet pastries such as danishes and macarons were all I saw in many of the outlets around town. For the many breakfasts I had on this trip, many involved plain or almond croissants which were very butter (and sufficiently sweet) with very thin pastry layers. They were not as thin or brittle compared with those I had at Joel where a simple touch with the tip of my tongue would can break through the many layers. 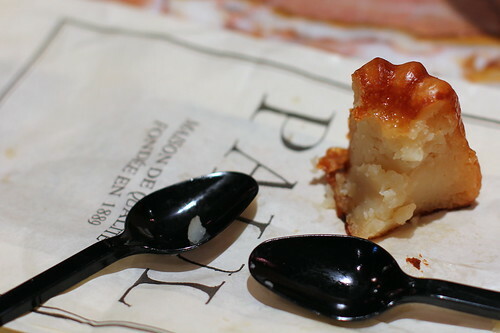 I talked about Canelé before on my blog and for some reasons I really love this French pastry which is relatively soft with a tender yet chewy center covered by a thick and sweet caramelized outer crust. Be warned for those who never tried it before, it tends to be quite sweet indeed with strong vanilla flavors and hints of rum perhaps depending on the pastry chef. Yum! Oh right, Canelé should be a finger food hence the use of fingers! Do not use spoon or fork, just not the same and it is quite tough the cut through anyhow! So, what's your favorite item(s) from PAUL? 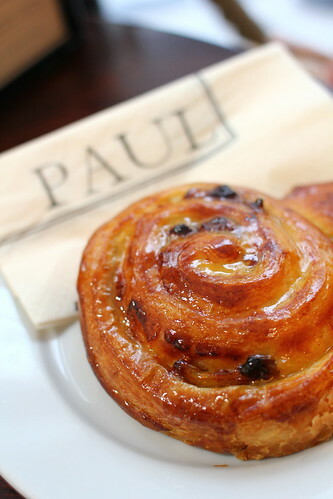 I once heard *rumors* that PAUL is planning to open in Hong Kong but for various complications the plan got postponed (or perhaps dropped the idea due to locations / high rent?). Pure rumors! Taipei and Shanghai have PAUL, why not Hong Kong??????? ARGH I want that canele!! 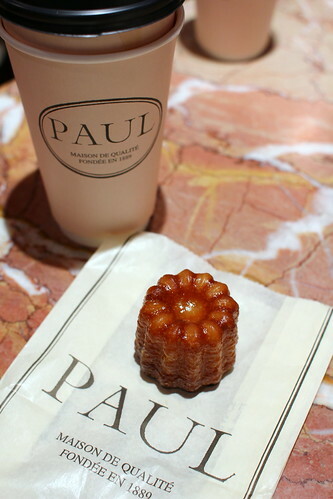 It's impossible to find a canele that's actually a canele in HK. I just need to drop you a comment on your recent London posts; they are awesome! I am going to visit end Jan (hoping to catch some snow), and your blog posts are so going to be printed like a travel guide for me. i luv Paul. the bread (rye?) is eqaully nice. first learnt it at Shanghai then Dubai. yes, why not HK?? 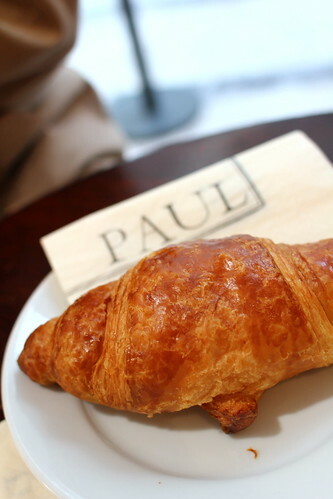 Paul is definitely a classic bakery - smell, decor, colors, setting...all you name it. when I read Paul,i held my breath for a second...would it be possible that finally Hong Kong had a branch of Paul? hahaha..I lived in UK for 5 year before coming to HK,i bought every day baguettes from Paul.Gosh i even brought back here some bread from Paul's at Dubai airport last time i was there.I love their olive fougasse and those tiny chouuettes they always have by the counter. The funny thing is, PAUL seems as popular in France as it is in the UK or the rest of Europe - for a second I can't remember whether its a French or UK franchise! What's for Dinner on Friday Night?